Bio-remodelling for smoother, tighter and healthier skin. Profhilo is a revolutionary treatment that is ideal for tired, dull, ageing skin that has lost firmness and elasticity. Benefits may be seen in young and ageing skin. Risks Bruising, swelling, tenderness, lumps, asymmetry, poor aesthetic results. Unlike traditional dermal fillers that are developed to provide lift and volume where they are injected, Profhilo spreads throughout the lower layers of the skin to cover a wide area to help smooth fine lines and wrinkles, provide firmness and volume to the skin, improve skin tone and texture and may lead to healthier skin. The most commonly treated area is the face, often by using a specifically devised treatment technique of injecting 5 Bio Aesthetic Points each side of the face for the best results, minimal discomfort and a strong emphasis on safety by avoiding important structures and blood vessels. Profhilo can be used all over the body but is particularly effective when treating the neck and décolletage. Other treatment areas include the hands, arms, knees, abdomen and buttocks. Unlike the vast majority of dermal fillers that are cross-linked using chemical agents, Profhilo is thermally stabilised and consists of a high and lower molecular weight hyaluronic acid. The low molecular weight portion is responsible for hydration and stimulating the formation of new collagen and elastin within the skin whereas the high molecular weight component provides support and a scaffolding action. Due to the revolutionary nature of Profhilo, the whole face can be treated in under 10 minutes and bio-remodelling can be achieved in just two treatment sessions carried out four weeks apart. In order to maintain the results, additional treatments may be performed after 6-12 months. Profhilo is composed of a highly pure grade hyaluronic acid and with the absence of any additives, it is extremely biocompatible offering an excellent safety profile and very low risk of side effects. Profhilo was first launched in February 2015 and has been used extensively worldwide since then with a very low incidence of side effects and no major adverse events. There is only minimal discomfort during a Profhilo treatment as the product is injected very slowly into the lower layers of the skin and as it diffuses into the surrounding areas, there are just a small amount of injection points. 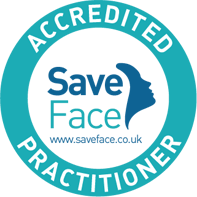 It is generally more comfortable than a standard dermal filler treatment. Profhilo is very well tolerated with a very low incidence of side-effects. There may be some bruising, mild redness and swelling following treatment but this generally resolves within a few hours to a few days. The area injected may feel slightly tender and there may be a visible lump straight after treatment. This starts to disappear within a few minutes but may take a couple of days to clear completely. Although the swelling may seem to resolve, it may appear to recur the morning after treatment, this is normal and will quickly disappear. It is important to contact our clinic immediately if you find that the skin feels hot and there is increasing redness as this could suggest that you have developed a skin infection. Similarly, you should seek immediate advice if you find that an area treated becomes painful and there is a change in the colour of the skin (blue, grey or white). Swelling and any discomfort should resolve quickly but if it persists or worsens, or if you are feeling generally unwell after treatment, please contact the clinic immediately to arrange a review appointment. The treatment will usually take about 30 minutes to perform and the results appear instantly. You can carry on with your normal life immediately after treatment. The product is broken down slowly by the body and so the results typically last between 6 months and a year, depending on the particular filler used with some fillers lasting considerably longer. After this time you can choose whether to have more treatment to maintain the effect. You should avoid touching the treated area for 6 hours after injection, and avoid applying make-up for the same period. You should expect the area to be a little swollen after treatment but this usually settles within a day or two. Bruising may occur and sometimes takes a couple of days to develop and a week or so to resolve. We recommend ice packs if there is some swelling or inflammation post-treatment and painkillers if required. Following treatment, you may notice an improvement within a few days although some patients may not see the benefit for up to 4 weeks after their second treatment. The skin should look more hydrated and have a healthy glow, fine lines and wrinkles should improve and the area should have a more youthful appearance. Even very aged skin should feel tighter, smoother and show an improvement in texture. After treatment, it is recommended to avoid physical activity for 24 hours, do not apply make-up straight afterwards, avoid other facial treatments for at least a week, use a high SPF sun protection and avoid extremes of hot or cold. Massage of the area is not required, the product will diffuse without any intervention. Profhilo® is a medical procedure to help smooth lines and wrinkles, provide firmness to the skin, improve skin tone and may improve the health of the skin. 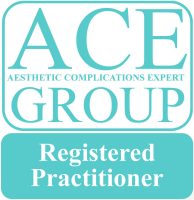 The practitioner will describe and discuss in detail the procedure including possible benefits and risks and answer any specific questions you may have. The practitioner will advise on what the expected outcome is likely to be in their professional opinion. However, results cannot be guaranteed and mild to moderate improvements may often be achieved. If you are unfamiliar with any of the terms used or do not understand then ask for further explanation from the practitioner. You can take home a copy of the consent form, pre-treatment and post-treatment instructions to further research and consider the treatment and to discuss with third parties if you wish before deciding on the treatment. It is important to avoid anti-inflammatory medications (such as aspirin, ibuprofen, naproxen or diclofenac) for at least 5 days prior to treatment unless this is prescribed for a medical indication and this should be discussed with your practitioner at Cosmedic Skin Clinic. If you are taking any other blood thinning agents, this should be specified on your medical history form. Similarly, avoid alcohol for 48 hours prior to treatment as this increases the risk of bruising and bleeding. Arnica may be taken for 3 days prior to treatment to lessen the risk of bruising. If you have had any recent beauty or aesthetic treatments or planning to undergo dental treatment, this should be discussed with your practitioner to ensure that it is safe to proceed with the procedure. Treatment may result in some common injection-related reactions including redness, swelling, pain, itching, bruising and tenderness at the implant site. They have generally been described as mild to moderate and typically resolve spontaneously a few days after injection. Bruising can occasionally be more significant, particularly if aspirin or anti-inflammatory medication has been taken within the last few days or there has been the consumption of alcohol. There may be visible lumps straight after treatment, these starts to disappear within a few minutes but may take a few days to clear completely. I understand if I suffer any adverse reaction that is not expected, or concerns me, I must contact the clinic immediately. The practitioner or the clinic cannot take responsibility for complications or results that have not been reported, assessed, documented and managed when you become aware of a potential problem. “Amazing transformation and pain-free, I am over the moon!” Lisa, Ashby-De-La-Zouch.